Robo-advisors, including Wealthfront and Betterment, aim to take on traditional financial advisors. So how do they stack up? There are areas where a robot (or, more accurately, an money management platform backed by a sophisticated algorithm) is a far better money manager than either a DIYer or financial advisor. Most financial advisors charge upwards of one percent of AUM (assets under management) to handle your investment portfolio. In contrast, robo-advisors’ fees range from zero, for WiseBanyan and Schwab Intelligent Portfolios to 0.89 per for benefit-rich Personal Capital. Further, many advisors will require clients to have a large minimum account balance; by contrast, Wealthfront will let you in the door with just $500 and Betterment has no minimum to open an account. The research suggests that rebalancing your investment portfolio back to its preferred asset allocation periodically improves returns and reduces volatility. Rebalancing is a strategy to keep your percentage invested in stocks, bond and other funds constant and in line with your preferences. 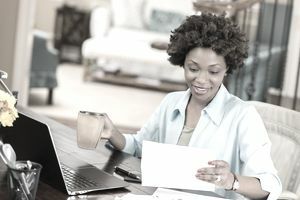 You can do this on your own, or have your investment advisor perform this task, but a robo-advisor does a great job of automating this tedious investment task. Although market-matching returns don’t sound glamorous, most active mutual funds fail to meet those metrics. Vanguard and countless academics have compared returns of active fund managers with the market indexes. They’ve found that most active fund managers fail to beat the market indexes, and that those who manage to outperform one year rarely continue their market-beating returns. Despite robo-advisors’ advantages, there are tasks best left to a human, especially if you’re very wealthy and/or have complicated financial needs. Here’s where robo-advisors fall short (most of the time). If you have a high six- or seven-figure net worth, a robo-advisor likely won’t be enough for you. You’ll need a trusted financial advisor who can examine your entire financial picture, including estate, tax, trusts, and life insurance considerations. A full service financial advisor with a stable of related advisors might be best for your broad economic concerns. Some robo-advisors, like Betterment, do offer some human assistance. But there offerings will likely fall short of the hands-on, holistic approach of a financial planning practice. If you want to invest in peer-to-peer lending, master limited partnerships, closed end funds, individual stock, bonds, currencies, options and more, then a robo-advisor won’t work. Most robo-advisors are limited in their types of available investments. In fact, there aren’t many robo-advisors that provide access to more than 12-25 funds. If you’re an active stock picker and want to work with a financial advisor in an effort to outperform the markets, a robo-advisor isn’t for you. Most automated tools aren’t flexible enough for investors who want to pick their own assets. That said, there are a few robo-like investment advisors with a bit more investment flexibility, such as Motif or M1 Finance. And traditional brokerages like Charles Schwab have begun offering automated advisor services, allowing account holders to use a robo-advisor while also taking advantage of the more traditional investments offered by a brokerage. Most robo-advisors follow an index fund investing strategy, meaning that they’ll closely match market performance—but they won’t beat it. Some services, including Hedgeable, Q plum, and Betterment’s Smart Beta strategies, have unique strategies that attempt to beat the market. But the performance results are still out. Sophisticated algorithm or not, your robo-advisor probably won’t be able to beat the stock market. But then again, neither will your human advisor.